Latest opinions, testimonies and comments from our clients about their holiday at Respelido. We enjoyed our stay but found that the furniture really detracted from our comfort. Because of the rain we were in the house more than outside so we noticed it more than we might have if it had been sunnier. The landscaping around our villa was also quite overgrown, while it was pretty, it needed cutting back from the pathway, some weeding and sweeping was also needed. Very nice place with beautiful gardens. Lovely swimmingpool and jacuzzi. Great for kids. Fantastic place to get a relaxing holiday. Friendly and service minded owners. Possibility to use washing machine, good. Only 15 minutes to the beaches. Good restaurants close to the residence and good supermarkets in the village. We highly recommend all to visit the place if you want a relaxing holiday and not too many people around. We had a wonderful stay at your facility. The gardens are magnificent. The swimming pool is beautiful. The house is also very nice. Everything you need for a fantastic holiday. You can tell that you run this place with lots of love. Your kindness and warm reception was very much appreciated. We loved our stay at your facility, and we will definitely stay there again. We loved Domaine de Respelido and had a fantastic week there. Excellent peaceful location just minutes away from the busy coast but within easy reach of many places to visit. The appartments were clean and comfortable and well-equipped. We will definitely recommend it and hope to return for another holiday. Very enjoyable stay on a well maintain domain. A great spot to launch day-trips to the Cote d’Azur, mountains to the north, or simply chill out by the pool. C’est Magnifique! My wife and I spent two weeks here in September 2015 and had a wonderful holiday. The villa was very well appointed and generally clean and tidy, with a nice garden to relax in. The swimming pool was very nice and we used this a few times. If we were to visit Nice again, would look at staying here again. we had a wonderful experience , planning to come back with our children and grandchildren. Lovely location. Friendly welcome. Good accommodation and beautifully furnished. Kitchen well stocked but could have done with some tools for using the BBQ. Curtains were difficult to draw but this is a minor detail. We loved our stay and would definitely recommend it to friends and return ourselves. We have returned for the third year and enjoyed another excellent holiday. The accommodation and facilities are a very good standard and the pool and beautiful flowers make this a true paradise and very relaxing. We have enjoyed our lovely time and can’t wait to return again next year. We had a really lovely week at Respelido. The helpful young lady at reception guided us on the best way into Nice and we had a thoroughly enjoyable day there. This is a very special, well run establishment. 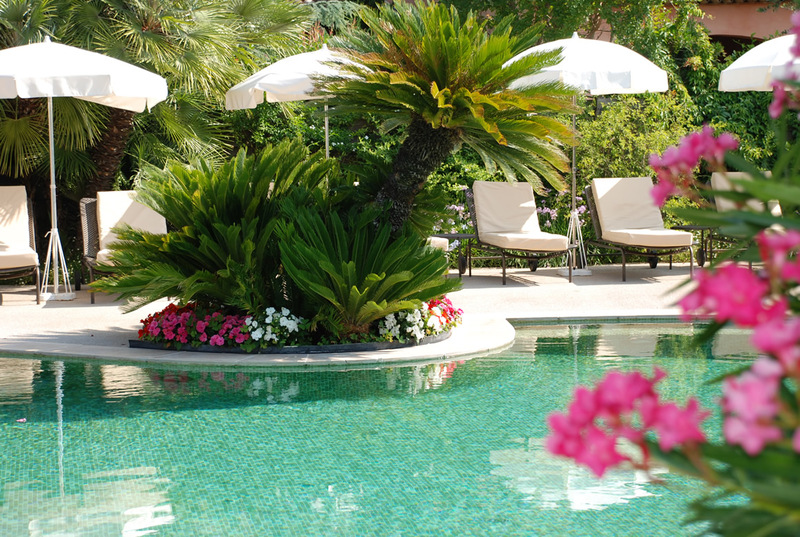 In particular, the beautiful landscaped grounds and pool area make it a joy to stay here and encourage you to relax in the warm, French Riviera sunshine. The resort is secure and entry is via electric gates which makes you feel safe (and a bit pampered, to be honest!) Highly recommended. Thank you for a wonderful stay at Respelido, we all enjoyed the lovely environment, pool and chalet we stayed in and of course the fantastic area of France Respelido is based in. Thanks for a great vacation, we have enjoyed Respelido very much and hope to return again in the future ! Thank you for a very nice stay, the layout, the swimming-pool, all the green and flowers, it all fits. We enjoyed it very much, so close to mountains and sea. We felt very welcome. See you again ! Thank you for a wonderful stay at Respelido. It was a perfect base for us to experience the South of France. Excellent and very enjoyable. We were made to feel at home and the facilities and location were superb. Share your experience. Please give us your opinion by completing this form. Thank you for participating! First name – Last name Tell us who you are! Tell us what you think about us.